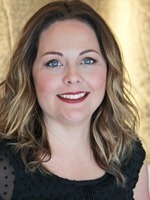 Request an Appointment with Jenny S.
Book Online with Jenny S.
My career began fourteen years ago when an aunt urged me to use my creativity in the hair industry. I started an apprenticeship program and found out she was right! Today, I use my artistry by creating relaxed, pretty hair with color and styling for everyday and then translating that same vibe into more formal styles for weddings and special events. Working with guests, I like to show them how to change their look with small styling changes, like braids or beachy waves. It is always a great day when I can make a guest feel good about their hair and maintaining their style! BIT ABOUT ME I’m a working mom who treasures a good cup of coffee each morning to get me going! Amazing!!! Jenny CAN do anything!!! As ALWAYS I love the highlights Jenny does for me. She is extremely gifted, a lovely person and very professional. Best color I ever had. Jenny has Been doing my hair for about 10 years now. She is always professional and always does a good job! I’m a regular of Jen’s so we’re comfortable together. If you’re looking for a new stylist, she’d be a great person to try. Never any issues. Jennys cuts are always great. 5 stars Plus! Jenny deals with my weird hair and has made me so happy with it. Thank you!!! Loved the results!!! I am so glad I stumbled upon her.. lucky really. Excited to work with her now and in the future. I felt very comfortable with her knowledge of hair. The young lady who rinsed my color out and gave me a hand massage also did an excellent job. Jenny instinctively knew that I could use a bang trim. Always a pleasure to have Jenny do my hair. She was so sweet and easy to talk to. She did a wonderful job on my haircut. Everything went swimmingly at this appointment! Bravo! Nice, comfortable environment. Products used were very good. Jenny listens and together we make decisions on any adjustments to my style. I always love my haircuts from Jenny! She is fantastic to work with! I'm always greeted right away and I never have to wait long for Jen to start on my hair. Jenny is really attentive and makes it her business to ensure I have a positive experience. I never leave the salon looking like I just got my roots done. Another great haircut from Jenny! I loved everything about my experience. My expectations were high and Jenny did a wonderful job. Even better than expected. I got lots of compliments. Jenny was fantastic as always!! Everyone was very professional and friendly. (receptionist, shampooer & hand massager, stylist and others). I felt that each employee really enjoys their job and worked well together with everyone. It was another pleasant experience. Love my color & cut! And always appreciate Jenny's flexibility. I needed an eyebrow wax and she worked it in. Great customer service. Friendly staff. Great highlights and cut. Jenny is awesome! I love my hair after my visits to Mango. The lady that answered the phone made the booking process seamless and was extremely friendly and patient. Upon arrival I was very nervous about changing my hair color but Jenny was amazing! She basically held my hand through the entire process & did an outstanding job! Jenny gets my hair. Always love coming to the salon. Jenny is great! Love my color and new cut. Also, Alexis did an outstanding job on my shampoo. Hope she is there for my next visit. I absolutely love the way Jenny colors my hair and now she's introduced red in addition to the blonde highlights......looks great! Jenny was great! She cut it exactly how I wanted it and was very quick and efficient. I enjoyed Jenny's calm vibe and professional haircut, glad I found her as my new haircutter. talented, friendly staff Jenny is a braid goddess! My appointment experience was well. Jenny always does a wonderful job from start to finish! I always feel like a new me when I leave. The front desk is always pleasant and helpful and the shampoo girl was a delight! My consultation with Jenny was FANTASTIC! She was extremely knowledgeable - listened to my concerns - was instantly able to identify deficiencies in my hairstyle and was extremely generous to do a corrective trim on the spot and make color recommendation. After meeting with Jenny - she earned my confidence and I will be coming back for color and cut. I was SO pleased to leave the salon and feel good about my hair :-) and have a tremendous amount of confidence in my stylist. I am definitely looking forward to my next experience at Mango. She listened to exactly what I wanted for my color and it turned out perfectly! And the cut is phenomenal. Jenny is an amazing hairdresser - I'm so glad I found her! great consult Friendly Superior braiding skills! Jenny always gets the color just right. Everything was done well! The whole experience was wonderful! I loved the hand and head massage..Jenny cut my hair just as I had hoped.. .beautifully! She is a lovely young lady and I enjoyed the whole experience! As usual, Jenny is craz-mazing!! Due to circumstances out of her control, she was running a little behind and she had the front desk call me to let me know so that I wasn't sitting and waiting in the waiting area. By being so cognizant and thoughtful, she gave me a little extra time on my impromptu mini-date with my husband! Once I got there (her suggested arrival time was spot-on), she took me right away. Even though I was the last client of the day and I'm sure it was later than anyone wanted it to be, Jenny did not rush or take any shortcuts. Not only did she take her time cutting my hair, she also still took the time to blow out my hair (which is no quick task), AND she even talked with me for 5+ minutes about some products. Jean was super nice too as she was "stuck there" with us - keeping a super warm & friendly and professional attitude the entire time. Thank you ladies!! Everything! Jenny is amazing at color as well as cutting! Thanks for bringing Jean back to Short Pump She is a delight. Her positive attitude contributes so nicely to the environment. Great customer service from all of the staff. The staff are always friendly and completely professional. Booking on line is fat and easy. Love the hand massage. I like the time allotted to explain the cut and style your are trying to achieve and the recommendations made. I love coming to mango! It is a relaxing experience and I always look forward to it. Jenny does such a great job and is so encouraging. As always, my experience at Mango was great!! Jenny Spain listened attentively concerning the hair style I was trying to achieve. Consequently, I am very pleased with the results. She also recommended products that would enhance my fine hair. Everything! Jenny is amazing as always - always get great color and haircut time after time! Everyone at Mango goes out of their way to be pleasant and helpful! Everyone's always so nice and in a good/happy mood. And Jenny Spain is FABULOUSLY AWESOME!!! My experience with Jenny never disappoints! She always listens to what I want and gives suggestions as to what will look best for me and she is always right! Jenny is such a great stylist! Great customer service, friendly and talented staff. Love Jenny - wouldn't go to anyone else! Jenny was awesome as always. I don't remember the name of the young lady that shampooed my hair, but she was wonderful as well. Jenny Spain is always great. Thanks to Henna for carefully washing my hair! The front desk personnel are always so friendly and efficient...and I love Jenny. She's so sweet and always listens to what I want/don't want in my haircut. I always leave looking and feeling great!